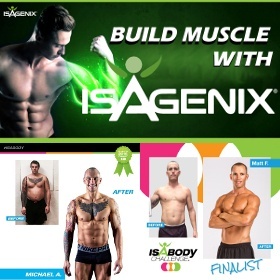 The Isagenix Performance System offers a mix of nutrients, energy boosters, and high-quality protein for muscle growth and recovery to support you in achieving a tighter, leaner physique, and optimal performance. The inclusion of IsaLean® PRO Shake allows you to fuel your body with the nutrition you need to boost performance. This shake contains a high concentration of branched-chain amino acids to naturally increase muscle growth and maintenance while helping speed post-workout recovery. Or e-mail Big Al at bigal@maleenhancementcoach.com to learn how you can add the Isagenix Performance system to your male enhancement routine.